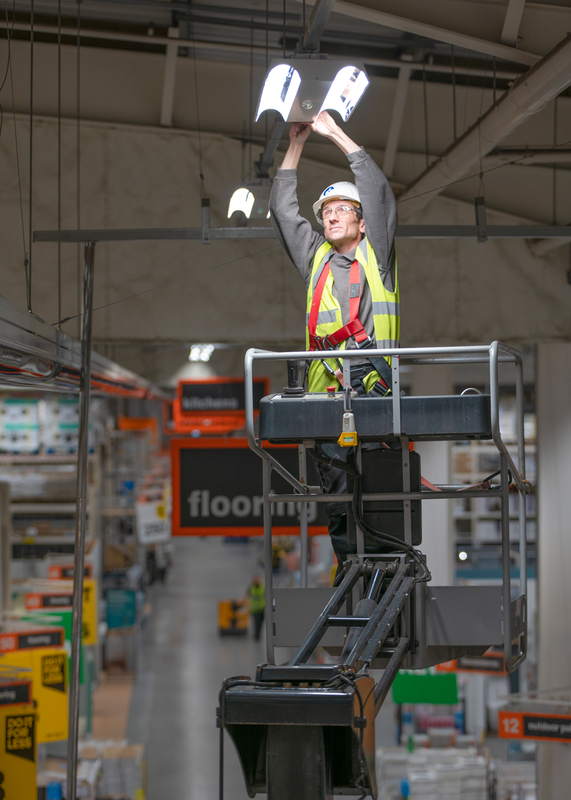 Mechanical & Electrical services specialists Mitton Group have been commissioned to carry out a lighting upgrade projects for B&Q stores in Glasgow and East Kilbride. The stores in question currently operate with suspended overhead lighting systems featuring T5 fluorescent lamps. 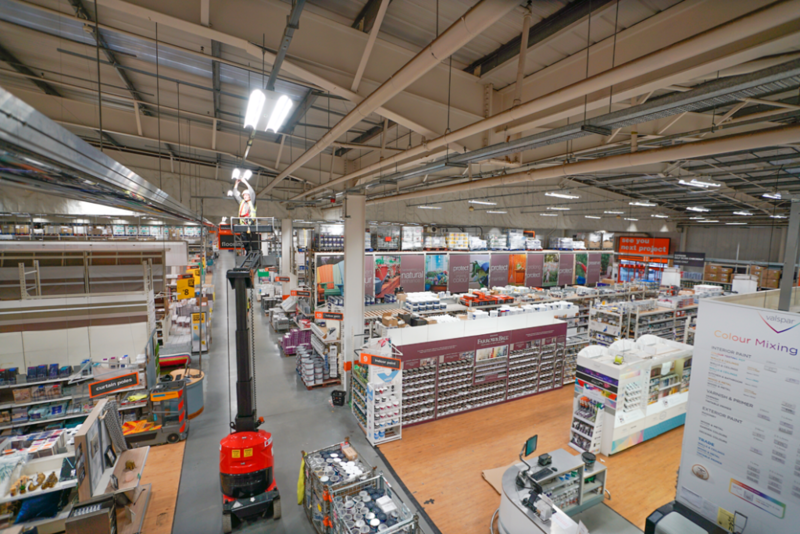 B&Q has made the decision to upgrade these using energy efficient LED lighting technology, which offers a number of important & very attractive benefits compared to more traditional lighting technologies. Overhead lighting can be difficult and expensive to maintain. The decision to move to LED lighting panels technology is expected to provide a much improved light quality for both customers and staff, as well as reducing overall costs through reduced running costs, maintenance requirements and longer unit life. The LED technology can offer an average energy saving of up to 50% when installed. The stores have an average of 700 light fittings. The Mitton team will complete the projects over an agreed period of time, using quick turnaround techniques to minimise disruption, with work carried out both during and out of hours dependent upon access requirements. As part of the project, the team will also be redesigning the control systems to ensure that lighting levels are reduced during daylight hours, optimising energy efficiency, as well as upgrading existing emergency lighting systems in line with current health and safety regulations. “The new LED lighting technology is expected to provide enhanced levels of energy efficiency combined with extended life. 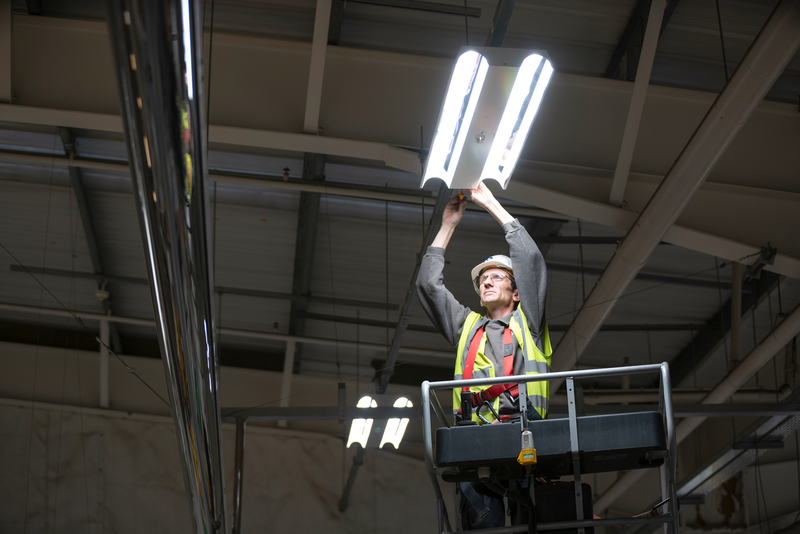 Combined with reduced labour costs associated with replacing lamps in commercial environments, this work will result in smarter, lower maintenance lighting systems,” stated Gavin Lewis for Mitton Group. Durable LEDs offer higher levels of breakage resistance and are largely immune to vibrations and other impacts. They also provide ‘instant 100% illuminance’ with no IR or UV emissions, resulting in more sustainable solutions. B&Q is expected to roll out the lighting upgrade project at other locations across the UK.